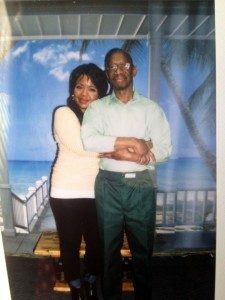 RAPP (RAPPCampaign.com) promotes the release of people in New York State prisons who are age 50 and older, have served considerable time, and pose no threat to public safety. We urge the governor and other policy-makers to use existing mechanisms—parole, compassionate release, and clemency— to release these elders, and to pass the S.A.F.E. Parole Act to increase parole release rates for everyone. 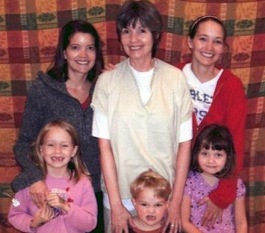 The Maryland Parole Commission recommended Eraina for release. That recommendation was denied in 2011. One woman tells the story of how she got involved in RAPP, Release Aging People in Prison. Mrs. Rose Laborde is 90. Her son has been incarcerated in New York state for more than 30 years. 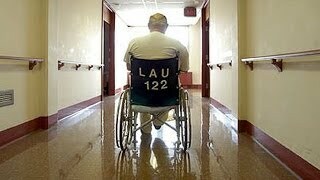 Visiting grows harder as families age along with their incarcerated loved ones. A member of the RAPP campaigns shares why parole reform matters to families. Mr. Koti will officially be 85 years old on Friday, but his mother told him he was born in 1926, not 1928 as the records show. So perhaps he will be 87. The case is now so old that the parole board cannot find a copy of the transcript from his sentencing. The November 11th show of the Rebbe, the Radical and the Rev was a dialogue between host Jim Vrettos, Beatty Cohan Vrettos – host of the Ask Beatty Show on Progressive Radio Network, and prisoner rights activists Larry White Of Hope Lives for Lifers Project, Mujahid Farid of the Release Aged Prisoners Program, and Angel Ramos of the Breathing Space Organization. 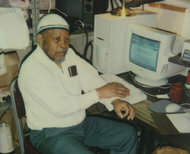 My father, Robert Seth Hayes, has been an inmate of the New York State Correctional system since 1972. He was a member of the Black Panther Party and Black Liberation Army. I was only two years old at the time of his incarceration. My father, Robert Seth Hayes, is one of the longest held political prisoners in the United States. He has been an inmate of the New York State Correctional system since 1973. He was a member of the Black Panther Party and Black Liberation Army. Forty one years is long enough. It is time for him to come home. Even amidst a modest reduction in the U.S. prison population, the number of aging men and women expected to die behind bars has skyrocketed in a system ill prepared to handle them and still oriented towards mass incarceration. If Cali Can, Why Can’t NY? A RAPP member explains why it just makes sense to reform current parole practices in New York State. 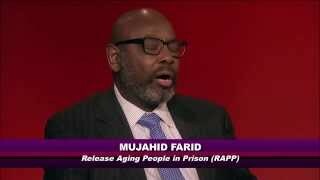 Mujahid Farid, campaign manager of RAPP, describes his efforts to gain his parole when in prison. Mr. Farid was incarcerated for 33 years. During this time, he achieved an Associates Degree, a Bachelors Degree, and 2 Masters Degrees and counseled inmates during the AIDS epidemic. Still no parole. Mr. Farid urges reform of the parole system. A member of RAPP shares about the long sentences political prisoners face and how parole reform could make a difference. 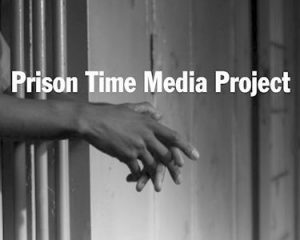 This year, North Country Public Radio (NY) has been looking in-depth at the growth of the prison industry here in our region, across New York and around the country.